Nottingham’s popular Robin Hood Beer and Cider Festival returns tomorrow (Wednesday) for another session of beer, cider, street food and entertainment in a new home at the Motorpoint Arena as Nottingham Castle closes for major works. The festival is open until Saturday evening. This new setting will give the public a chance to see the Arena as never before with a chance to go backstage and to even have a drink on (above) the ice. The venue will also offer up lots of extra festival space inside and out. For those wishing to plan ahead, there is a floor plan at www.whatsonnottingham.com. There will be two music stages, utilising outside areas to create village atmospheres, like those so popular at previous festivals. Bolero Square will host an acoustic stage featuring unplugged artists and solo entertainers. There’s an eclectic mix; with everything from a New Orleans marching band and Rat Pack to Spanish guitar and all the traditional folk music and blues. 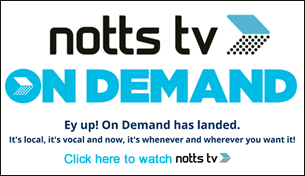 The full programme can be found at www.whatsonnottingham.com. There will be over 1,000 different ales on tap with more draught real ales than any other beer festival in the world! Highlights include ten American beers, which have been matured in wooden casks that previously held spirits including gin, tequila and bourbon as well as maple syrup cask aged beer. Those who enjoyed last year’s ‘Cake and Egret’ raspberry jam Victoria sponge flavoured pale ale from Nottingham’s own Magpie Brewery, can sample this again and will probably want to get in line for this year’s offering – a lemon meringue pale ale. For vegans, many beers will not be fined (or cleared) using isinglass, this will be marked on the cask and in the programme. Organisers have also managed to obtain a selection of gluten free beers, which again will be clearly marked. Cider drinkers will also find some existing new flavours to try. Again, there is a chance to sample brews from the USA. These include Dry Cideh by Urban Farm Fermentory, from Portland in the USA. It’s aged in, and then imported in a wooden cask, which in itself is very unusual; but the casks have previously held rum. The rum contained in the wood flavours the cider making for a pretty special-flavoured drink. There has never been a cider from America at the festival before. Another first for the festival is a mead, which also comes from the Urban Farm Fermentory and is aged in a rum cask. It’s semi-sweet and quite strong at 10%. There will also be one stillage bay dedicated to Nano brewers. These are small producers who can only brew one or two casks at a time due to how small their brewery kit is. The nano brewed beers include a selection from Bang the Elephant in Long Eaton, watch out for their Caribbean Export Stout amongst others, and Urban Chicken in Ilkeston will be supplying a range of their unique beers. Alongside the beer and cider, festival-goers will probably need to eat! Visit the Backstage Village party area where local restaurant MemSaab is back, dishing out delicious curries and wraps, Romano’s tasty hog roast and gourmet burgers will be on offer, and The Old Granary Pierogi return after last year’s success, with their traditional hearty Polish pierogi (handmade dough cases, hand rolled and stuffed with a variety of meaty and veggie fillings – they’re kind of like Italian ravioli when boiled or the traditional Cornish pasty when baked). Vegetarian and vegans can take advantage of the vegetarian run by Veggies of Nottingham, those you’re looking to satisfy a sweet tooth should head over to the Love Crepes stall. 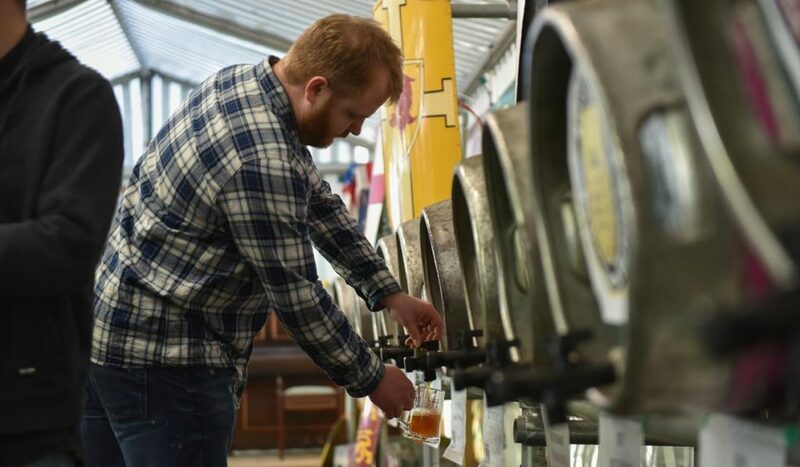 Festival organiser, Steve Westby said “Since the last festival, just a year ago, the beer world has changed beyond recognition in terms of styles of beers that are available. Long gone are the days of just mild, bitter and stouts available on draught and our wide range of beers for this year reflects this.